Why Should You Sell Stuff on eBay? The benefits of selling on eBay are as diverse as the people doing the selling. 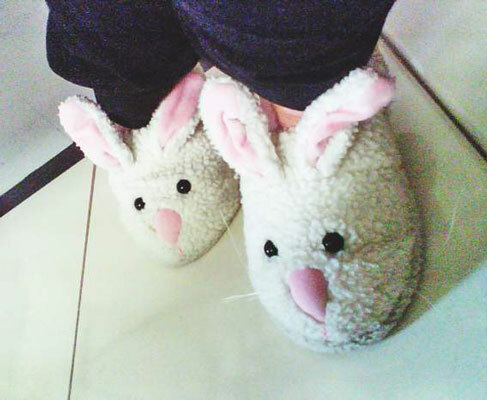 The biggest plus to selling on eBay is wheeling and dealing from your home in pajamas and bunny slippers. But no matter where you conduct your business or how you dress, many more important big-time rewards exist for selling on eBay. Most people starting a business have to worry about rounding up investment capital (startup money they may lose), building inventory (buying stuff to sell), and finding a selling location such as a booth at a swap meet or even a small store. Today, even a little mom-and-pop startup operation requires a major investment. eBay helped to level the playing field a bit; everybody can get an equal chance to start a small business with just a little money. Anyone who wants to take a stab at doing business can get started with just enough money to purchase initial items. Get a few transactions under your belt. Sell your old collection of postcards, ashtrays, or souvenir spoons. See how you like the responsibilities of marketing, collecting money, shipping, and customer service. Grow a bit more, and you’ll find yourself spotting trends, acquiring inventory, and marketing your items for maximum profit. In no time, you’ll be making items disappear faster than magician David Copperfield (though you may have a little trouble with the Statue of Liberty — how’d he do that, anyway?). A fun way to get your feet wet on eBay is to buy some small items. Some of the least expensive items you can buy on eBay are recipes. Type recipe in the search box and sort the results by Lowest Prices First. You’ll find recipes that range from a penny up. You don’t have to pay a shipping charge, either. The sellers are required to send you a copy in the mail, but they often also e-mail the recipe direct to you after you pay. You can also begin selling your very own secret recipes. This is a great way to become familiar with how eBay works, and you’ll be gaining experience with feedback — as well as building yours!